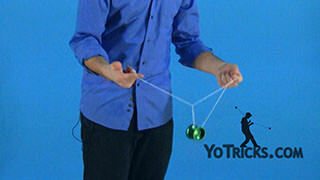 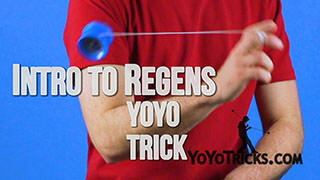 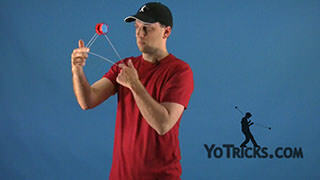 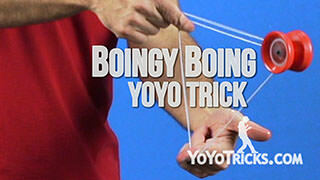 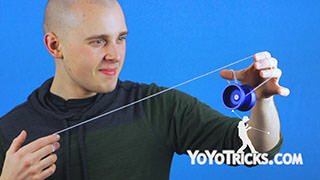 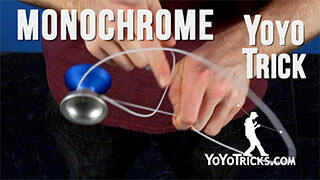 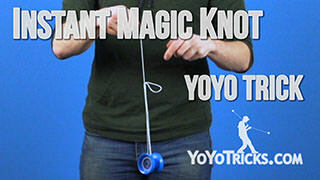 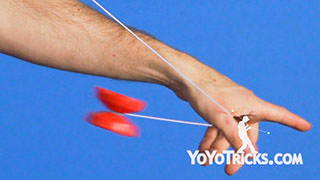 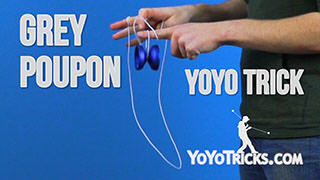 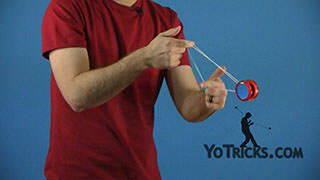 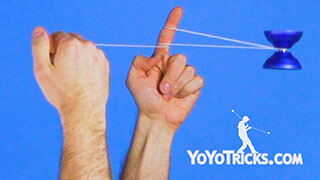 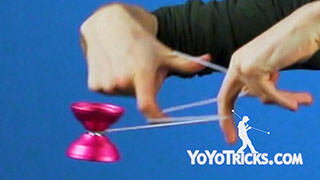 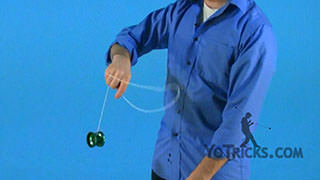 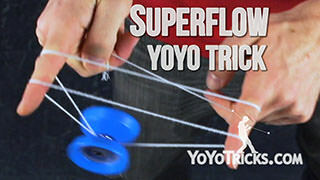 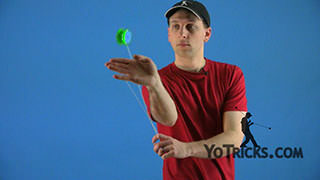 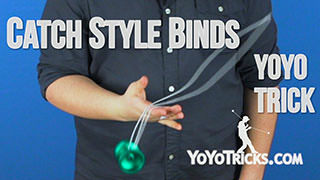 Learn how to do the Zipper yoyo trick, one of the easier 1a yoyo string tricks. 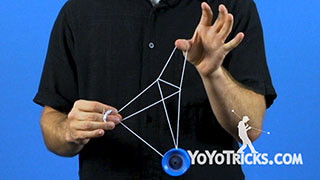 Zipper Yoyo TrickThis trick is called the Zipper, and it looks like this. 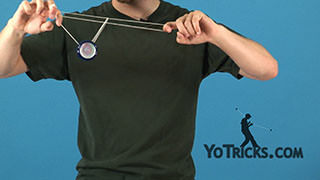 You can see, when you watch the Zipper, that the motion seems to repeat a couple of times. 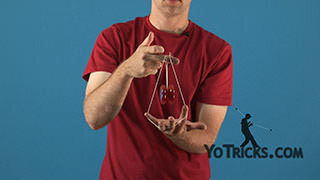 That is because this trick is a repeater, which means that once you are through the trick you are right back where you started and then you can just continue to do it over and over again. 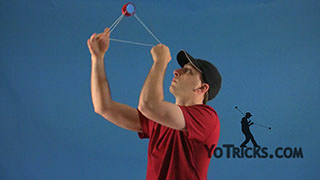 This trick is a nice trick to learn once you have gotten used to the Front-Mount, because you will be doing a couple of different mounts, and it is a good trick to help you get used to getting on and off the string again and again. 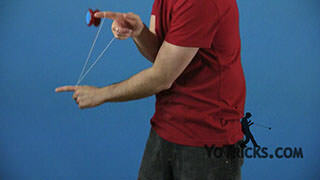 You can see that it is a pretty simple motion. 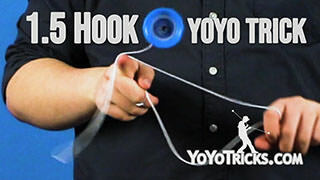 To start with the Zipper, what you want to do is just get into your basic Front-Mount, and all you are going to do is get right back off, and you can see that the yoyo kind of swings forward like that. 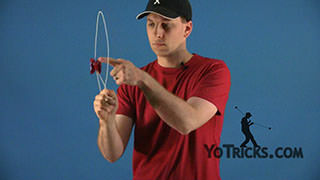 What you are going to do is you are going to intercept the string with your middle finger and then get the yoyo right back onto the string on the opposite side. 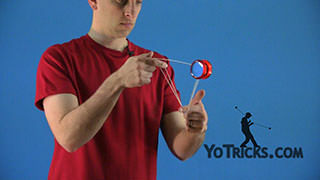 Again, you just go from here, right back onto the opposite side. 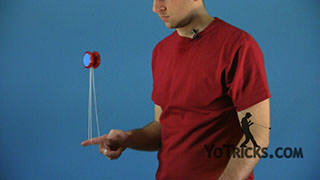 From here you are going to take your yoyo hand, and go right in front of the whole thing. 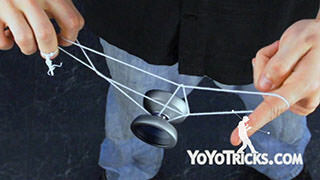 Then you are going to roll the yoyo up, and then back over your first finger, and that will get you right back into your same mount. 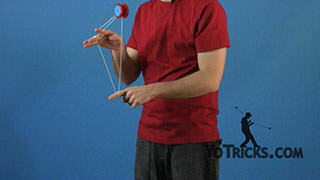 Let me explain that second part again. 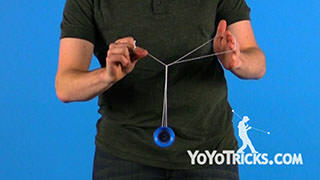 Again, you get here, you are going to roll off over your middle finger, you are going to bring your yoyo hand down in front, then you are going to roll it up and roll it a second time over your first finger onto the string, bring your yoyo hand up, and that gets you right back into your basic Front-Mount if you bring your hands down just like this. 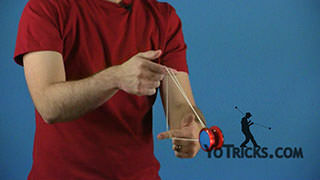 Since this is where you started, you can just start right back over, and you can see, that is what makes it a repeater. 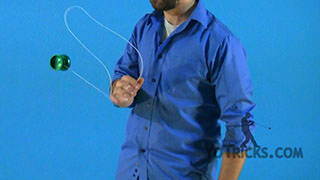 With the Zipper, there are a couple of issues that you can run into. 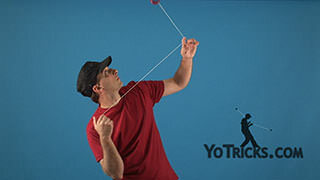 The first one that you will probably notice is that as you are getting it on and off the string, if you don’t keep your strings straight then your yoyo is going to lean a lot, and it can kill the spin. 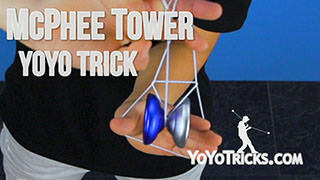 It might make it pretty challenging to get through the trick. 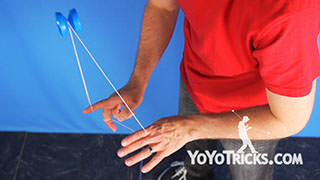 One thing you want to make sure, is that as you are moving your hands up and down they are straight up and down, and that will keep the yoyo lined up with the string, that will solve that problem. 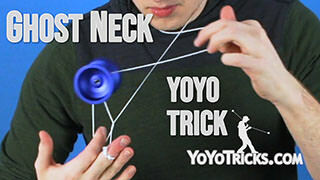 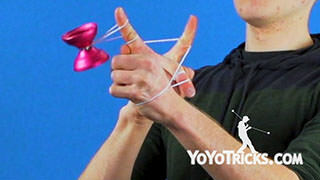 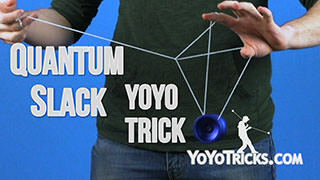 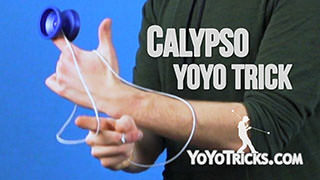 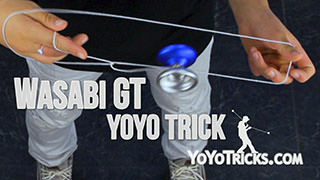 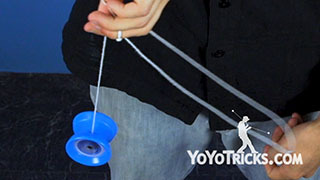 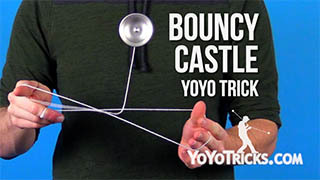 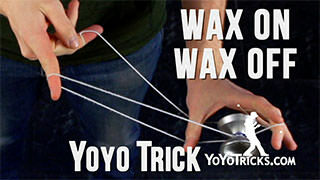 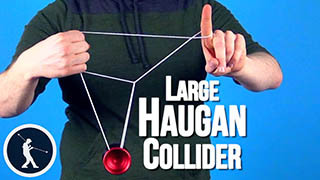 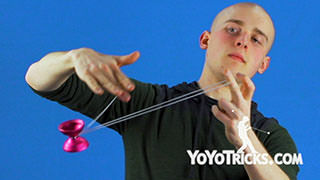 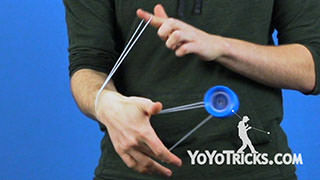 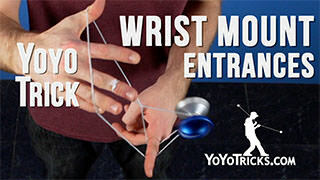 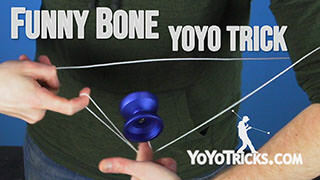 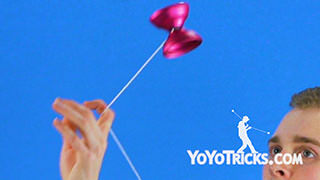 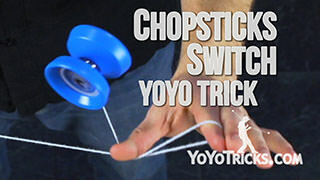 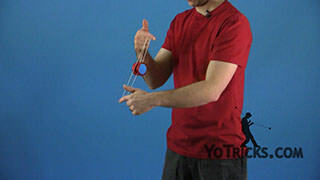 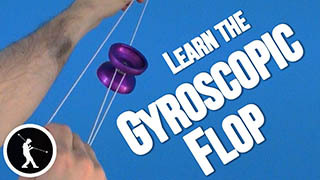 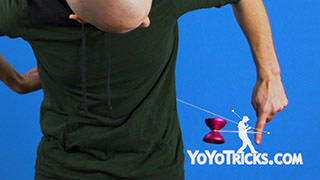 A second, and really a bigger problem that you might run into with this trick, is once you get it into this mount right here and you start doing your flips, you may find that the yoyo just suddenly comes back, and you are like “What happened?” The reason that happened is because the yoyo performed a Bind. 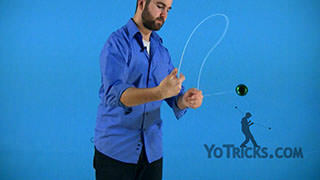 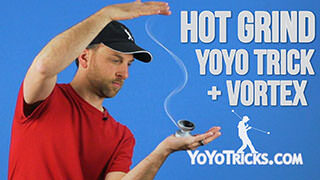 That is a trick that, if you are just getting into yoyoing, you may not be familiar with yet. 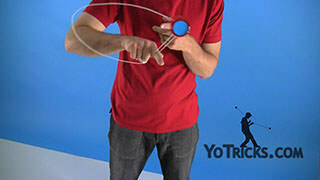 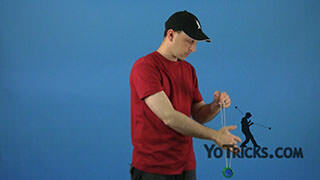 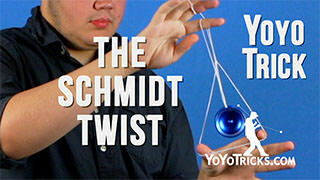 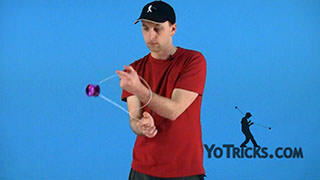 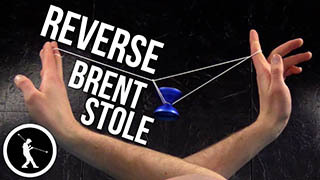 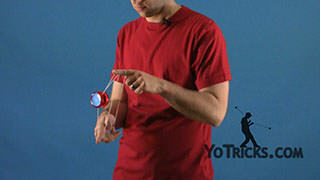 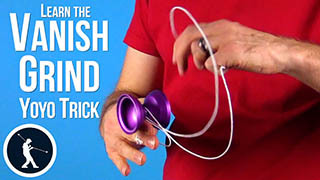 A Bind is a trick that is used on unresponsive yoyos to get them to come back. 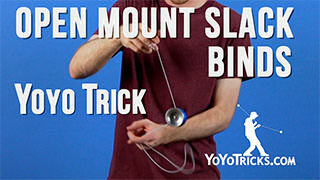 When you get into this particular mount in this trick, that is actually a mount that is used for binds. 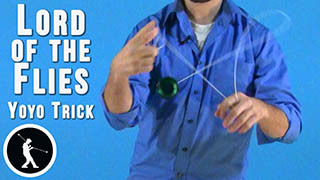 That is why it might come back on accident. 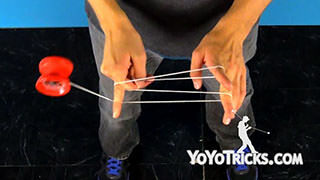 The way that you keep that from happening is, when you get into this mount, it is okay to let this double string that is on your middle finger, it is okay to let your middle finger further and further away from the yoyo. 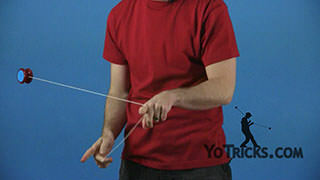 If you ever start to bring that middle finger and this double string back in towards the yoyo then it might accidentally bind and come back. 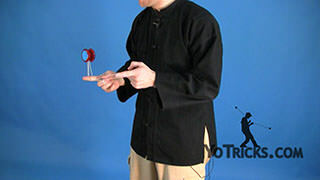 As you are performing the trick you just want to make sure that that never happens. 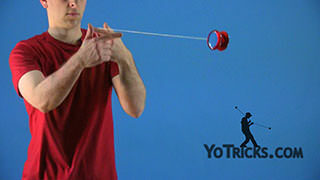 As you are doing this roll you can bring your yoyo hand way out in front and that way you do not have to drop the yoyo too far from this hand. 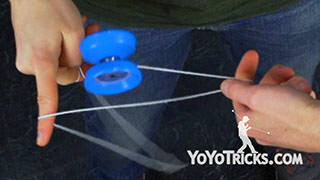 Then, as you do the roll, you can pull it off the string before you pull it back up to get it back up over the top. 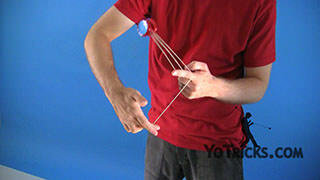 That should really help to solve that problem. 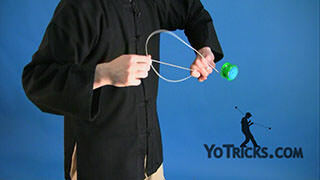 It might take a little bit of practice, but you can get used to it. 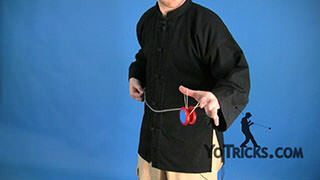 Like I said, the Zipper is a really nice trick, there is not a lot to it. 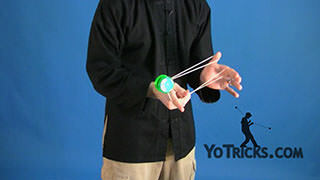 It is a good repeater, so you can just do it over and over again. 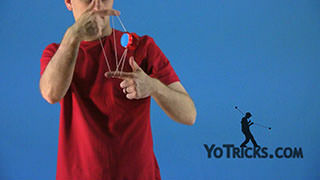 To people who are not yoyoers it is pretty impressive, so it is a nice trick to add to your arsenal.